I hope you are good. I’ll talk today about weight loss, what else? ☺ For overweight people, the extra weight is like a burden. You know that the way you look has a huge influence on how you feel. I never heard someone saying ‘I have some extra weight, but I feel pretty and feel well’. The good news is there are foods that accelerate weight loss. The day by day persons, with extra weight, want to look and feel nice in their skin but not look like models. The diets help and reduce the body fat IF you follow them. But we are humans and tend to forget, so when you reach the desired weight, you forget the efforts to lose the weight and return to the old habits. To maintain the new weight requires efforts, but if you develop a habit to keep the weight under control, you’ll enjoy your life and new figure. The extra weight usually makes you lose your self-esteem and pushes you to the other side where you think that you will never lose weight which goes to losing hope and accepting the new state. But, no, you can do it don’t give up. The body fat is very dangerous, and you probably know that it can increase the risk of vascular and cardiac affections, high levels of cholesterol and let’s don’t forget the risk of stroke, etc. These are only a few, but there many other implications in our health, like gallbladder and gastric reflux. How Do the Fat Burning Foods Work? First of all, it’s not hard at all to have balanced meals during a diet. The important thing is you don’t feel hungry. The fat burning foods accelerate fat burning in two ways: melting the exceeding fat or the body regulates the consumed energy. The proteins increase the metabolism rate, producing warmth. That’s the explanation why most weight loss diets imply reducing the fat consumption. – Cheeses: low fat cow cheese. These foods consume more calories to be decomposed, digested and assimilated than produce. The difference is compensated by the burning of fats in the body. For example, a portion of Brussels sprouts brings 50 calories, but 75 calories are required to digest it, meaning that you consume 25 calories from your body’s fat reserve. The negative calories foods are the ones low in calories, like vegetables and fruits. Vegetables: asparagus, eggplant, red beet, Brussels sprouts, cabbage, carrots, cauliflower, green lettuce, green beans, leeks, onions, radishes, algae, etc. Fruits: apples, apricots, bananas, blackberries, plums, nectarines, oranges, kiwi, raspberries, strawberries, clementine, sour cherries, currants, cherries, blueberries, etc. Nuts, peanuts, seeds: almonds, Brazil nuts, chestnuts, coconuts, hazelnuts, pine nuts, pistachios, nuts. Introducing negative calories food into your diet can lead to weight loss, these foods will give the stomach fullness sensation. But, from my searches, I didn’t find any scientific research to prove the evidence. As always, to get rid of weight loss, the solution is to have a balanced and healthy diet along with regular physical exercise. The Keto diet is known as the fat-burning diet which consumes fewer calories. When it’s about weight loss, chili peppers are the number one food on any list. The primary substance that gives the spicy taste of chili, named capsaicin, helps to burn the fat, gives you the satiety sensation and accelerates the metabolism. Caffeine stimulates the central nervous system and coffee a day can increase the rate of metabolism by up to 8%. Green tea contains antioxidants that improve metabolism by up to 12%, according to Japanese researchers. Both beverages are important sources of antioxidants. The grapefruit is very popular due to its miraculous effects in weight loss diets, especially because it has only 25 calories (per gram). It helps to lower the cholesterol levels and contains an enzyme that burns fat; it helps to absorb and reduce the sugar and starch in the body. The watermelon contains 90% water and has a high sugar content, which will give the necessary energy during the day. Moreover, it is an important source of antioxidants, lycopene, vitamin A and vitamin C.
these fruits contain an important amount of fiber and help you to get the satiety feeling. The pears have very many fibers, around 6 grams in an average fruit. This gives you a long-lasting feeling of satiety. Apples are second, with 3 grams of fiber per fruit. They lower cholesterol and blood sugar levels. The fibers are a good companion in weight loss because it prevents the absorption of fat and gives a feeling of satiety. So you get hungry less often. They contain plenty of water and fibers that maintain the satiety state for a long time. Besides, they can satisfy your sweet appetite and give you a lot of energy with fewer calories (about 33 kcal / 100 g). The calories are the lowest in berries, and blueberries are the ones that bring you the most antioxidants. They contain proteins, and if they’re eaten in the morning, they’ll keep you hungry levels down for a long time. They are excellent to relieve hunger between meals. They are rich in proteins, healthy fibers, and fats. According to studies, they can help lose weight and lower bad cholesterol levels when they are eaten in moderation. 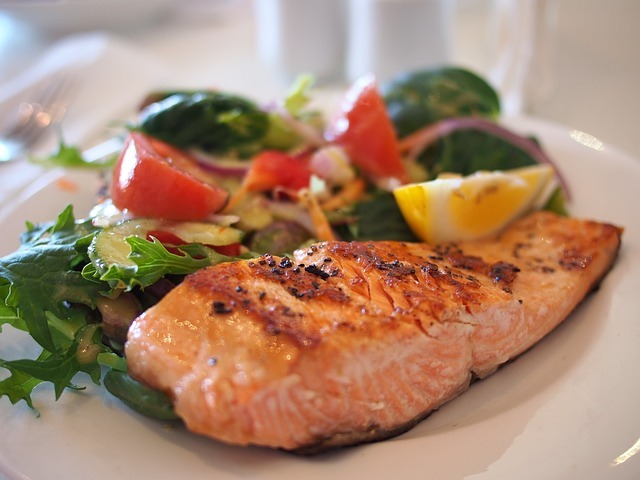 Fatty acids present in fish fortify the immune system, help you lose weight, lowering appetite and speeding up burns. 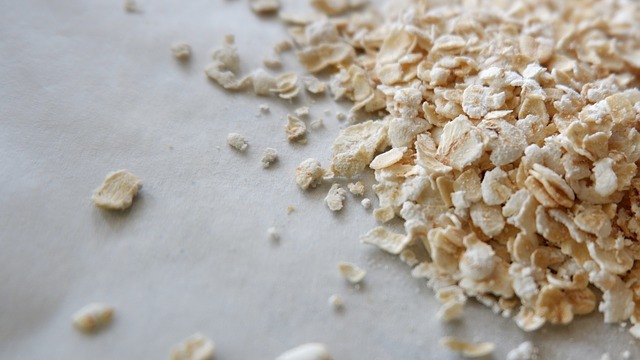 Essential for digestion, whole grains cleanse the body, especially the colon, and eliminate the most common digestive disorders, including bloating or constipation. The desire to burn excess fat is normal and beneficial. The problem is those harmful myths and unhealthy diets that claim to speed up burning of fats. Sometimes you rely on the commercials from media, but not all the time are the best choices. The most misleading options for burning fat are presented in the form of corsets for weight loss, tablets for accelerating metabolism, clothes for burning fat, miraculous beverages or electronic devices. This list is endless. The most intriguing thing is that all of these products have a common feature: if you use them, you do not need to do physical exercise. Really? 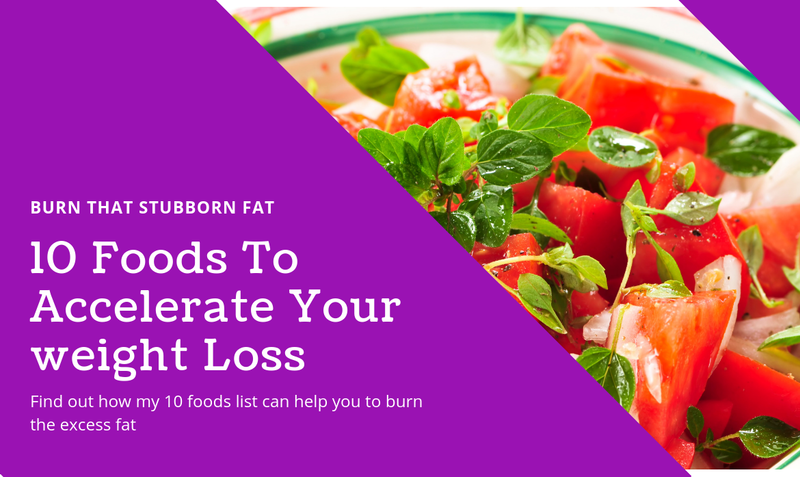 Certain foods and eating habits can be used to accelerate fat burning by inducing the melting of excess body fat or by regulating the rate of energy use by the body. You have some of my recommendations for foods, of course, there may be other foods. I recommend what I use, if I missed something or you are aware of other foods, I’d love to hear your thoughts. Don’t forget to leave your comments, suggestions (if any) in the comments section below. This is a great post! I have been looking online for ways to help with my weight loss journey. I had never heard of the term negative calories before, but this makes sense! I can see how it would take more to digest these foods. I like your recommended list of foods. They are all food items I like, so I can do this. Thanks for this great information. I have book marked your site so I can read more. Thank you, I’m glad you find it useful. You’re welcome to visit my website again. Thank you, dear. In fact it’s a great name suggestion, thank you :). The stubborn fat can be burn thanks to the foods which Mother Earth gives us. I completely agree with you about all the weight loss fads out there. The only thing that will help anyone lose weight and keep it off is changing lifestyle habits. Even if a piece of clothing or supplement could get the weight off you once you stop using it, the weight would come right back if everything else stayed the same as before. That’s the problem with most diets too. Unless you plan on eating that specific diet for the rest of your life, you will gain the weight back as soon as you stop. I’ve had personal experience with this. I have struggled with shedding a little extra weight my whole life but about 5 years ago I got into a martial arts school and I loved it. Over the next two years I was in the best shape I’d ever been in my life and wearing a size I never thought I’d be able to wear. The best thing about it in the end was how strong and healthy I felt all the time. Thanks for posting this great article. It’s good to see someone telling it like it is instead trying to sell me on a weight loss gimmick. You’re welcome, Tina, I’m glad you find it useful. The problem with the rapid weight loss diets is that at the end you switch back to old habits and you will gain more than the weight you had before starting the diet. I’m saying it, and I’ll say it all the time: healthy eating and physical exercise is the right balance for a healthy life. We should try to eat healthy foods and help us burn fat as you explain. I am a normal person that I like good eating. Sometimes the truth exceeds me in the portions especially at family gatherings. I can also maintain my weight thanks to the physical exercises that I do weekly, it’s just a contribution I make in this excellent article. Thank you, Claudio, I’m glad you find it useful. I know, the family gathering are just a reason to eat and the table is full with sorts of dishes and if you do not eat the host will feel offended. A balance between healthy food and exercise is the secret to keep in shape and healthy. Thank you so much to share with this informative post on 10 foods hat accelerate the weight loss.You have stated a big list of food which burn fat and I can have them in my possession for that I will try my best to burn this fat which makes me feel bad. I was surprised by some information while reading this content.At my country we take porc as one of type of meat which make people fat and I found it in this list. Sometimes we have wrong information in what we have to take to burn fat fortunately this website is helping to find real information. You’re welcome, Julienne, I’m glad you find it useful. I also know countries where pork meat is consider ‘dirty’ and should be eaten as less as possible. Good article and a attention grabbing title, like the idea of eating foods that take more energy for the body to dispose than they contain! After adding one or more of these foods to your diet. How long should someone wait to see is working or not? Loosing weight is something the Doctors are always harping on and they tell me that there is no magic pill… wish there was! lol, Would be the first in line. You’re welcome, Chad, I’m glad you find it useful. Indeed, there is no magic pill to get rid of extra weight, and there is no magic formula that works inside your body after start eating foods that help with weight loss. You have to develop a habit and change your diet. The foods will not do wonders if there is little to no physical exercise. Thank you for this great post on foods that accelerate weight loss. You have definitely mentioned a few things that I havent read about before so thank you for that. I do hope that changes to my diet can have the desired affect, i could really d with losing a few pounds! You’re welcome, Chris, I’m glad you find it useful. Great article. From time to time, the idea of getting rid of some excess weight does cross my mind. Thankfully, I don’t have to worry too much. You mentioned nuts… I am a big nut eater. I know you also said ‘in moderation’…what is a good balance, a handful or two per day? I eat a lot of peanuts and hazel nuts – every day, religiously. And yes, I eat them for breakfast and in between meals. I know the Vit E helps with moisturizing the skin. I also eat lots of seafood…love me some salmon, so this is definitely ‘up my alley’. 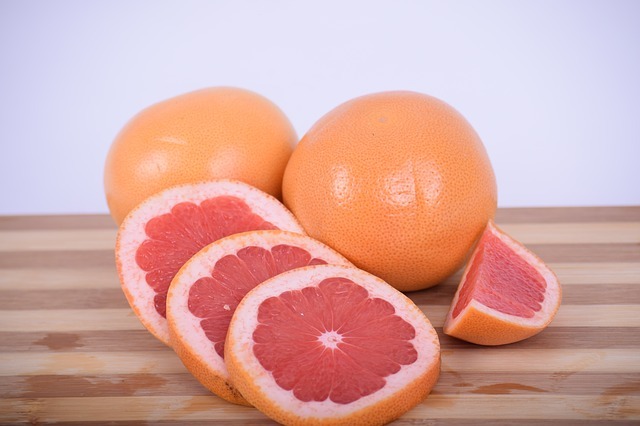 One thing I learned from your article is the grapefruit and what it can do for weight loss. I did not know that it helps to absorb the sugar and starches in the body – now this is interesting. I may have to substitute my oranges for some grapefruit or maybe mix it up a bit. Thanks for sharing these food groups, it has shed some light on how I can maintain my weight. You’re welcome, I’m glad you find it useful. I’m also a nut eater, I prepare a big tray of almonds, cashew, and hazelnuts and put them in an oven for a couple of minutes. The recommended dose is a handful a day. The grapefruit is also known as a big help to combat the cellulite. You can mix oranges and grapefruits, both have their own benefits. We would all like to burn all that excess fat, and it would be healthier as well. Eating good healthy foods is the way to go to do that. It is not a good idea to follow a bunch of diet fads and unhealthy plans. All you have to do is learn how to eat fat burning foods and exercise. You do not have to try crazy diets that end up doing more harm than good. I agree we should develop habits eating healthy food and doing physical exercise often. Some diets can harm your body, especially the quick weight loss versions.